A drought survivability study, conducted in San Antonio throughout 2015, investigated how 97 plant species common to the region fared when watered with varying amounts over a six-month period. The study found when watered in small amounts most of the plants remained lush, meaning they had adequate moisture and new growth, and some remained stable even with zero irrigation, according to Amy Uyen Truong, Texas A&M AgriLife Extension Service assistant with the Texas A&M Institute of Renewable Natural Resources and the Texas Water Resources Institute in College Station. Truong co-authored the report with Dr. Richard White, Texas A&M AgriLife Research turfgrass management scientist; Forrest Cobb, IRNR research assistant, and Dr. Roel Lopez, IRNR director. Results were recently published in the Texas Water Resources Institute's Technical Report-495, which can be found at twri.tamu.edu/publications/reports/2016/tr-495/. 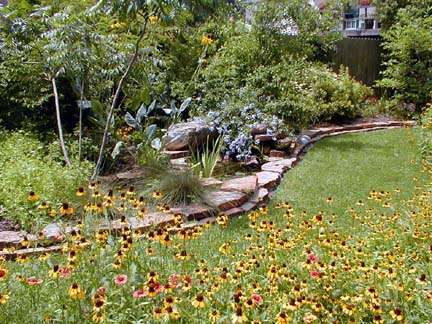 "Based on this study's findings, Central Texas landscapes can thrive on a lot less water than most people are using today," Truong said. In fact, she said, the study showed 21 percent of the plant species tested could withstand a 12-week drought in Central Texas without any supplemental irrigation or rainfall. "And 54 percent remained stable and some were lush at just 20 percent potential evapotranspiration," she said. Potential evapotranspiration, or ETo, is the amount of water a plant loses every day, and 70 percent of this amount is the estimated average watering rate of residential landscapes in Texas, according to the Texas Water Development Board. "This research provides a comprehensive evaluation of diverse ornamental plants that will help consumers make smart decisions to produce more sustainable landscapes," White said. Because of Central Texas' variable weather and rainfall, and its history of prolonged periods of drought, it was important for the study to quantify how little water plants need to survive droughts or watering limits, Truong said. "These results can help not only those residents who want to reduce their outdoor water use without sacrificing an aesthetic landscape, but also business owners and professional landscapers," she said. The water board also estimates outdoor water use accounts for 22 to 50 percent of total residential use in Texas. "So, reducing outdoor water use could make a huge dent in the state's water demand, especially during drought when peak water demand is especially high," Truong said. The study was supported by AgriLife Research, San Antonio Water System, the cities of Austin and Georgetown and the San Antonio River Authority. One of the reasons for funding this research project was to educate the public about plant performance during drought-like conditions," said Christopher Charles, conservation program specialist for the city of Austin. "Plants purchased at local nurseries and home-improvement stores often do not come with specific watering instructions for our Central Texas region. We believe this study will help decrease the need for supplemental watering." The study consisted of a 5,000-square-foot demonstration site, divided into four plots, each filled with all 97 of the plants being studied. After planting, a three-month establishment period of watering at recommended levels ensured that the plants were healthy and established. "This establishment period is key to drought-tolerant landscape success," Truong said. The plants in each of the four plots were subjected to four different drought treatments: no water, 20 percent, 40 percent and 60 percent of potential evapotranspiration. The study used a large movable roof to make the zero ETo plot possible, Truong said, with the roof moved over that section used for the study when there was rain. "The difference between the 0-percent ETo plot and the 20 percent ETo plot was striking," Truong said. "Watering these plants with just 20 or 40 percent ETo, instead of the usual 70 percent, resulted in many plants remaining stable or lush and aesthetically pleasing." Truong said the study also showed no difference in appearance for stable and lush between the 40 percent and 60 percent ETo plots, even though the 60 percent plot received 8 gallons more water per plant over the 12 weeks. "Multiply those potential water savings across the vast amounts of residential and commercial landscapes in Central Texas and the savings would be significant," she said. Plants such as oleander and anacacho orchid performed best in all four of the watering scenarios. Truong and the study's other authors recommend planting groups of plants that have similar reactions to water stress to help reduce water waste, avoid plant replacement costs and ensure aesthetic appeal. "After an establishment period, plants such as cenizo, fall astar, gaura, oleander and Mexican feathergrass remained lush or stable with no additional water and could work well together in a water-wise landscape," she said. Truong said most utilities allow home or business owners to apply for "variances" in drought watering restrictions for landscapes being established and needing additional water. More than 50 local volunteers, Master Gardeners and Master Naturalists helped make the study possible, Truong said. While helping plant and weed the plots, the volunteers got to see firsthand how the plants were performing with little water, and many were interested in using more drought-tolerant plants in their own landscapes, she said.